The Homeless Memorial Day was created in honor of all people who died without a home. People who are homeless are at an increased risk of premature death. With no regular access to healthy food, warm clothing, safe shelter, and reliable healthcare, people who live on the streets are in jeopardy of dying from both violent and natural causes. With the homelessness rate in the U.S. on the rise, it can be difficult for the public to keep track of the homeless individuals who die with no one left to bury or remember them. Many cities are honoring those individuals by holding an annual Homeless Memorial Day. What is Homeless Memorial Day? Unlike Memorial Day that is held in May, Homeless Memorial Day is held in December on the night of the Winter Solstice, also the longest night of the year. As the sun sets early on the evening of December 21, cities that mark this somber occasion host marches across their neighborhoods and invite people to walk while holding signs of the homeless people who died that year. This march hits many of the marchers hard as a large number of them are formerly homeless themselves. Some of the marchers experienced homelessness firsthand and were saved by the mercy of their communities and advocates who helped them secure housing and jobs. While they are the fortunate few who were able to raise themselves out of homelessness, many others cannot for one reason or another follow in their footsteps to security. Instead, they are relegated to living on the fringes of society and on the very streets themselves, sometimes dying without anyone to care about or remember their names. They are remembered increasingly through events like the Homeless Memorial Day held on December 21 each year. While the march and memorial are held yearly, organizers and marchers hope that it will increase people’s resolve to end homelessness around the country. The march serves to inspire community leaders to raise funds and resources to help house the homeless in their own cities. While many people readily dismiss homelessness as a problem that could not impact their own lives, they fail to realize that the very people whom they are ready to ignore once enjoyed the presumed level of security and livelihood they have now. Statistics show that while homelessness is on the rise in the U.S., the fastest growing number of homeless people are single women and children. Factors like divorce, unemployment, and domestic violence force women and children out of their homes and onto the street. Likewise, statistics also show that more than eight percent of the homelessness population in the U.S. today include military veterans. Factors like PTSD, divorce, drug use, and depression make it difficult for these veterans to hold jobs and maintain steady livelihoods. They have no other recourse than to live on the street, sometimes dying without the honors entitled to them as veterans. The realities could be easily forgotten were it not for events like Homeless Memorial Day. The signs being hoisted in the air during the Homeless Memorial Day marches are emblazoned with the names of veterans, mothers, children, and others who died without the comfort or security that many people today take for granted. It may be easy for people to think that they or anyone they love and know will be homeless. However, statistics show that homelessness is on the rise in the U.S. and now includes people who were once employed and relatively secure in life. Those who have no choice but to live on the streets are at an increased risk of dying from violence or health problems. Their names are remembered with the annual Homeless Memorial Day in December. Unusually warm Arctic temperatures have caused a massive Arctic ice melt. Arctic ice thickness fell to record lows in November because of unusually warm Arctic temperatures. Warmer winds from the south also stopped the ice from forming. Finally, ocean temperatures remained above average. Satellites measured the ice at 3.51 million square miles. This level breaks the previous record set in November 2006 by 306,000 miles. Researchers who have been using satellites since 1981 to measure the ice’s thickness find that this is 753,000 square miles below the average. Why Did the Artic Ice Not Form? For most of November, ice actually grew faster than the standard rate of 26,900 square miles. Instead, during most of the month, it grew at a rate of 34,000 square miles per day. One of the reasons that there was less ice overall was unusually warm Arctic temperatures on some days from October 20 through the middle of November. During these days, the ice actually shrank by 19,300 square miles. Air temperatures measured at the North Pole were 18 degrees warmer than normal. Temperatures across most of the Artic remained four to seven degrees Fahrenheit above average. 2016 looked like a typical year until October 20. Starting on that date, record low ice formation was recorded by scientists. Ice only covered 2.5 million square miles of the Artic setting a record low. Unusually warm Arctic temperatures caused the ice not to form. The jet stream which is a narrow band of unyielding westerly air currents encircling the entire globe set up in an unusual pattern this year. At the Artic, these winds generally blow from Iceland across the Norwegian Sea located northwest of Norway and across the Barents Sea located between Norway and Russia. The jet stream this year caused more southerly winds to blow across the area causing unusually warm Arctic temperatures. Winds from the Barents Sea and the Eurasian Arctic entered the Fram Strait located between Svalbard and Greenland. These winds worked to push the ice back at the same time that the unusually warm Artic temperatures slowed ice formation. The unusual jet stream pattern caused warm water from the Atlantic Ocean to enter all seas in the area. The Atlantic Ocean located between North America and Russia has a higher salt content than the seas near the Artic. As the water from the Atlantic Ocean mixes with the water from the Artic Ocean the water looses some of its salt. Therefore, it freezes at a higher temperature. Unusually warm Arctic temperatures would have been needed for the ice to form. Scientists have noticed this trend since 2006. A particular area of concern was the Svalbard archipelago located midway between continental Norway and the North Pole. Ice generally starts to form in this area in early November. As of the beginning of December, no ice had formed in this area. The sea water located here had hardly cooled at all because of the unusually warm Arctic temperatures throughout the fall. Scientists also note a connection between the increased amount of carbon dioxide in the atmosphere and a decline in the amount of Artic ice. Every metric ton of carbon dioxide added to the environment decreases the amount of ice by 32 square feet. The Obama fish is not the first animal that takes the president’s name, in isn’t even the first fish. Researchers from the National Oceanic and Atmospheric Administration (NOAA) found the fish in June during an expedition to the Papahanaumokuakea Marine National Monument, which is located in the Northwestern Hawaiian Islands. The fish is a small yellow and pink coral-reef fish, and scientists found it near the Kure Atoll at a depth of 300 feet. 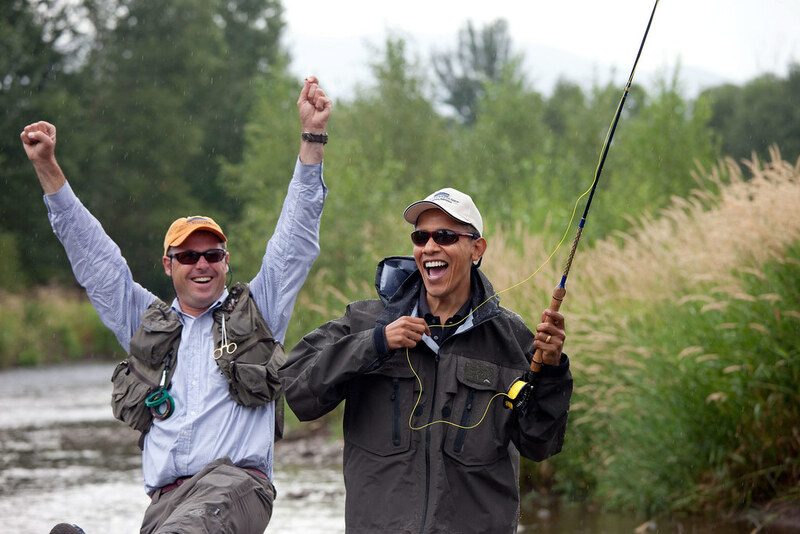 The fish was given the scientific name Tosanoides obama, and it is the third known member of its genus. The other two species, which are somewhat bigger than T. obama, live in the tropical northwestern Pacific Ocean. The Obama fish is a type of basslet and therefore belongs to the family Serranidae; many members of this group have bright colors that make them popular with the marine aquaria trade. Male fish from the new species have a distinctive spot on the rear part of their dorsal fin. The spot has a blue margin with red and yellow stripes in the center; it reminds some observers of the President’s campaign logo. Richard Pyle, a scientist with NOAA’s Bishop Museum, commented that it was particularly appropriate for a fish named after President Obama. Juveniles and females have lighter colors. Sylvia Earle, a scientist and deep sea explorer, presented the President with a picture of the fish on September 1 during his visit to Midway Atoll. The Obama fish is the second new species found in the Papahanaumokuakea Marine National Monument this year. While many fish are endemic to Hawaii, which means they are not found anywhere else, the Obama fish is the only species endemic to the Monument. The other reef fish species found there also occur either elsewhere in Hawaii or Japan. Scientists define deep coral reefs as those between 150 and 500 feet deep, and they are so far poorly explored. President Obama had ordered the expansion of the Papahanaumokuakea on August 26 this year on the advice of various marine scientists, conservationists, and Hawaii’s Senator Brian Schatz. The Monument is now the largest permanent protected marine area in world with 582,578 square miles. Finding a new species is always exciting – but T. obama’s chances of surviving over the long term are dubious at best. It is an endemic species that so far appears to be confined to a relatively small area. Environmental changes, like those associated with climate change, could render it extinct before scientists even get a chance to properly study it. Children with ear infections need a full course of antibiotic treatment. 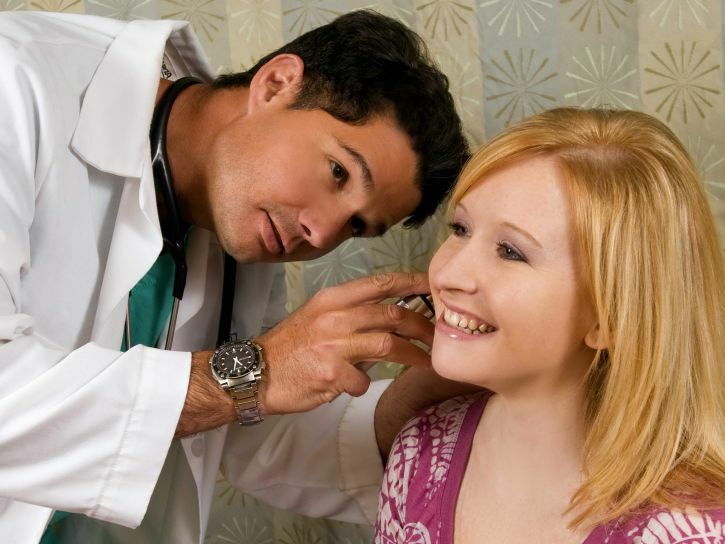 Ear infections are a very common childhood ailment that can be of great concern to parents. It’s not the fact that ear infections are particularly difficult to deal with, but rather they cause a significant amount of discomfort to kids, and that in and of itself can lead to a parent being distraught as they watch their little one suffer. However, the main concern for parents who have a child with ear infections is that smaller children suffering from infections may be on antibiotic regimens that are too long and too powerful. The concern over side effects and the development of antibiotic resistance has led parents to wonder if a shorter treatment is better. A recent study carried out by the Children’s Hospital of Pittsburgh of UPMC and the University of Pittsburgh School of Medicine has determined that, in fact, longer is better when it comes to treating ear infections. The basis of the study was to determine if a shorter course of treatment using the most effective and commonly prescribed antibiotic for ear infections in younger children, was as effective in the hopes of alleviating side effects such as diarrhea, diaper rash, and other conditions. In fact, the study, which followed 529 children who had been randomly placed into two groups, found that the ones who received a five day course of regular treatment followed by a five day placebo did not fare evenly in terms of treatment effectiveness as those who received a full 10 day traditional run of the antibiotics. “Given significant concerns regarding overuse of antibiotics & increased antibiotic resistance, we undertook this study to ascertain if reducing the duration of standard antibiotic treatment would be as effective while reducing side effects”. The study found that this was not the case as the risk of treatment failure for those in the shorter test group was more than double than for those in the full regiment group. The focus of this study was limited to children from 9 to 23 months of age, a period when antibiotic effectiveness and the propensity of side effects to occur are both at their height. With the increase of treatment failure risk, there was also a noticeable lack of decrease in the appearance of side effects such as diarrhea, diaper rash, and other conditions. These side effects were still reported in both groups at nearly the same rate. It should be noted that, as with the results of the primary study, the results of the side effects research cannot be applied to older children due to the limited nature of the trial group. One thing is for certain, the results clearly indicate that there is a risk of doing more harm than good with the reduced treatment plan. “The truth is that we like to use antibiotics as little as possible, but they are also the most effective for treatment of ear infections. But the longer you take them the greater the risk of side effects.” Pediatrician Jeffery Ubinger of premier medical associates in Penn Hills said. The side effects that exist are able to be managed on a case by case basis and can also be reduced by careful monitoring by the physician treating the infection. Side effects taken aside, the ten-day course of treatment that has traditionally been used is still the best choice for complete and effective treatment. The Florida woman already lost a child to co-sleeping. A Florida woman arrested on manslaughter charges in the death of her 18 day old son is being held due to the fact that this is the second of her children to die in the same manner. 25 year old Erin Piche-Pitts of Winterhaven Florida is facing charges in the death of her infant due to co-sleeping. This isn’t the first time that Piche-Pitts has lost an infant child this way. On October 6, 2016 Piche-Pitts woke to the sound of the baby crying and got up to prepare a bottle. She then took the child from the bassinet, which was located right beside the bed, and placed the child beside her, propped up on a pillow. She soon fell asleep again, and when she awoke once more, she found the baby was unresponsive. This is the second child that she has lost in the same manner, the first being in December of 2009. She has been given multiple warnings by healthcare professionals and law enforcement officers about not repeating the same mistake that cost her first child its life. The first victim was only 13 days old. This is also not the only incident which has gotten Piche-Pitts in trouble with the law. In July, the Winterhaven Florida woman was arrested for possession of meth. She was pregnant with the deceased child at the time. When police and paramedics arrived on the scene following her October 6 call, she simply said “it happened again.” The baby was pronounced dead at the hospital a short time later. This case is indicative of a growing epidemic of infant deaths related to co-sleeping in the United States. The issue of how to calm and comfort children who require almost constant attention, and are difficult to get to sleep, has long been a concern for all parents. 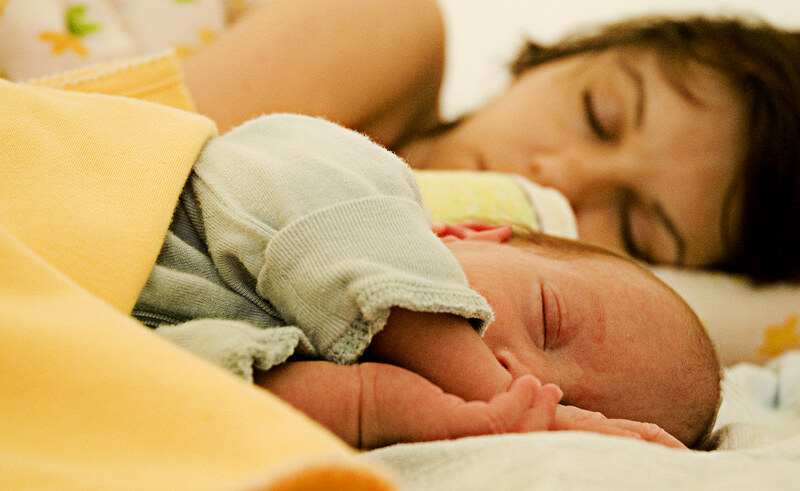 Moms and dads often turn to cuddling the infant in the comfort of the bed as a last resort. Despite the fact that all healthcare professionals agree that having and infant in an adult size bed alone is dangerous enough, parents are usually exhausted from the sleep deprivation that comes with a toddler, choosing to abandon the battle with fatigue and place the baby next to them in bed. While bed sharing is common in many parts of the world, in the West it is generally frowned upon. Professionals recommend parents to always place the child in a crib where there are no pillows or stuffed animals that could obstruct its airways. The incidence of Sudden Infant Death Syndrome has exponentially increased in recent years. SIDS features many types of sleeping related causes of death including death by strangulation, suffocation, and complications of co-sleeping, as in the case of the Florida women arrested in Winterhaven. The Florida woman arrested on December 20 will face a bail hearing on January 10. The husband, who was at home at the time of the child’s death, but not in the same room, has not been charged and is not expected to be.